Dhanush missile is capable of carrying a payload of 500 kg and hitting both land and sea-based targets. Balasore, Odisha: India today successfully test-fired the nuclear-capable 'Dhanush' ballistic missile with a strike range of 350 kms from a naval ship off Odisha coast, defence officials said. 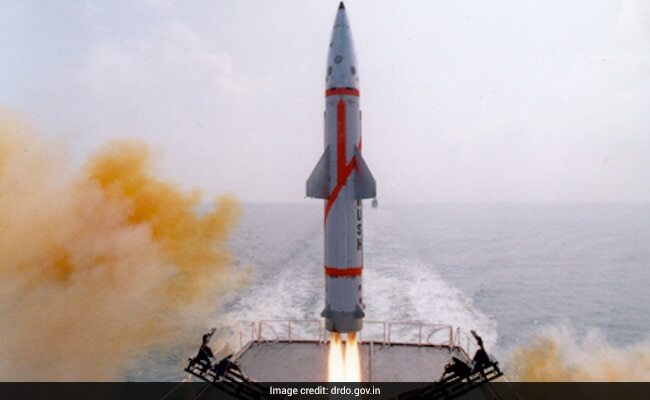 The surface-to-surface missile, a naval variant of the indigenously-developed 'Prithvi' missile, was test-fired from the ship positioned near Paradip in the Bay of Bengal at around 10.52 am, the officials said.